The terms pharmacogenomics and pharmacogenetics tend to be used interchangeably, and a precise, consensus definition of either remains elusive. Pharmacogenetics is generally regarded as the study of genetic variation that gives rise to differing response to drugs, while pharmacogenomics is the broader application of genomic technologies to new drug discovery and further characterisation of older drugs. 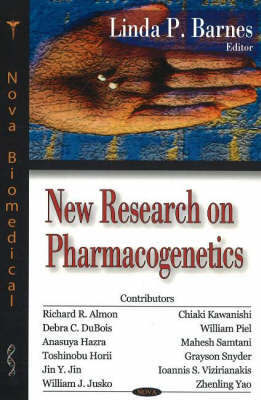 Pharmacogenetics considers one or at most a few genes of interest, while pharmacogenomics considers the entire genome. Much of current clinical interest is at the level of pharmacogenetics, involving variation in genes involved in drug metabolism with a particular emphasis on improving drug safety. This book presents leading-edge research in this dynamic field.